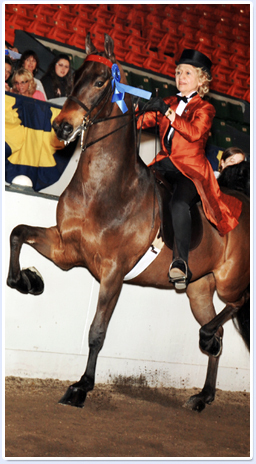 North Wind travels to various horse show competitions amongst New England, the Mid Atlantic, and the Mid West. We look forward to seeing you at one of our upcoming shows! Please feel free to Contact Us to see if we will be at an event near you! Additional North Wind Stable activities! Our youth club, The North Stars, is a member of the American Saddlebred Youth International Program and is open to all North Wind riders between the ages of 6 and 18. Youth group members polish their skills through detailed riding instruction, learned horsemanship and FUN! Each North Star member will receive their very own log-book to track successes and accomplishments, earning patches and certificates and creating new friendships along the way. 2. your trainer costs and fees. You will find training barns may charge differently especially if they do not do the hauling themselves. At NWS we have an ALL IN rate that covers shipping your horse to and from the show, Day Care, share of additional groom expenses, your share of trainer hotel expenses, your share of tack stalls and coaching and additional instruction at the show. Here are our per horse ALL IN Show Charges for many of our regional events.